Taking care of your furry companion can be stressful, especially when you’re not sure about where to go for quality pet supplies. Here are a few established pet shops in the city that we recommend. 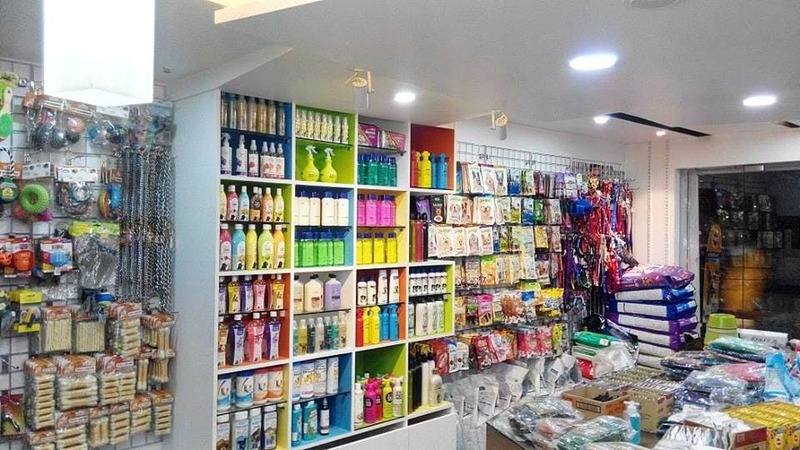 Located right by Bessy beach, this pet store is small and yet stocks all the essentials you need, to take care of and groom your furry companion. Food troughs, basic medical supplies like tape and sprays, and shampoos from reputed brands can be found here. We recommend making the most of the visit to this pet store by taking a walk along the beach with your four-legged friend. You can also give them a quick spa session here! This pet store does a lot more than sell pet essentials and accessories. They are also a pet spa and a boarding service for pets. The pet spa offers a wide range of grooming services for dogs and cats. The store like most pet shops stocks up on everything you’ll need to take care of your pet, making it your one stop shop for all your pet needs, with the exception of medical care. Pet owners from Anna Nagar may recognise this entry. Classic Pet Shop, has been around since 2004 and caters predominantly to dogs and cats, as it provides pet essentials like food, leashes, beds, collars, tags, supplements, snacks, scratching posts, chew toys, and more. They’re known for the variety of brands that they stock, supply bird food and food for small animals too. The best part is that they deliver supplies home if you stay nearby. What Classic Pet Store is to Anna Nagar, Shaggie Pet Store is to Nandanam. They’re known for their wide variety of pet supplies and accessories, with a special focus on premium pet supplies from top brands. Their staff know their products in an out and are happy to deliver supplies home if you’re nearby, for a small delivery fee. In addition to stocking supplies and accessories, they’ve got an arsenal of pet healthcare items as well, with sprays, salves, and ointments for common ailments. This last entry is the largest among the lot with multiple branches across the city. Lovely Pet Shop is run by pet lovers for pet lovers. They have three branches in the city with all three of them being based on the Southern side of Chennai. Velachery folks will want to check out the Madipakkam branch as it’s closest to them. Like the other stores, this chain is stocked with pet essentials and supplies and has everything you need to take care of dogs, cats, fish, and small animals. There are cages and aquariums too! Whether you want to buy an exotic animal or bird, or want pet food or books - this store is a one-stop shop for all your needs. We bet it will take you a while to step out of this place once you enter. Syrian Long Hair Hamster, Sugar Gliders, Blue Gold Macaw, Cockatiels, yes, they have all of these. Feels like you are in a jungle already, don't you? Besides, buying pets, you can also buy pet books, toys, and other accessories for your pets. Packaged food for your pets is also available here. Head to the store in Velachery - get amazed by the exotic animals, while you buy supplies for your pets. It is the knick-knacks at this store will make you want to buy the whole store. This pet boutique has everything from toys, doggy food bowls, imported food, pet bed to customised leashes, and pet food. Hey, have treats, special massage oils, and creams for their skin and hair, bowties so your doggo can look as dapper as ever. Their comfy beddings for the pets costs INR 3,000. The other thing we really liked at the store was the customised pet tags that cost INR 1,000. Get your pets name studded on the collars. Oh-so-adorable! They also have exclusive pet food brands like Acana or Orijin.